NAO along with NUMSS (Spain) & NUMSS (USA) are the largest provider of manual osteopathic education in the world with alumni in 70 countries. Canadian prime minister honourable Justin Trudeau and Dr. Reza Moridi, Ontario Minister of Training, Colleges & Universities, Dr. Shawn Pourgol, President of NAO, NUMSS & OCPCC. Shahin Pourgol, MBA, DC, DO, PhD is a Canadian manual osteopath who has founded and serves as the president and one of the professors of the National Academy of Osteopathy (Canada), National University of Medical Sciences (Spain) & National University of Medical Sciences (USA). Dr Pourgol also serves as the elected president of the Canadian Union of Osteopathic Manual Practitioners. 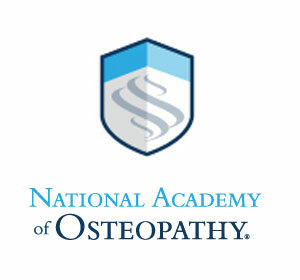 National Academy of Osteopathy, National University of Medical Sciences (Spain) and National University of Medical Sciences (USA) are the largest provider of manual osteopathic education with alumni in 70 countries. NUMSS (Spain) is also the largest provider of DPT (doctor of physical therapy) education in Europe. NUMSS (USA) is the only university in the United States offering European style manual osteopathic education. In September 2017, Dr Pourgol founded the Osteopathy Chronic Pain Clinics of Canada (www.osteopathypainclinics.com), which he is serving as its president. OCPCC with over 235 clinics in 16 countries has become the largest privately owned chronic pain clinic in the world. All manual osteopaths working for OCPCC are chronic pain specialists who have taken postgraduate fellowship program in chronic pain management at National Academy of Osteopathy. Only alumni of the three schools founded by Dr Pourgol are permitted to work for OCPCC. 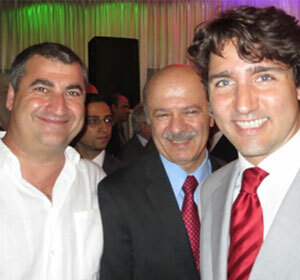 Professor Pourgol’s outstanding education and accomplishments began in 1989 when he attended Eastern High School of Commerce in Toronto, Canada and became Ontario and Toronto scholar of the same year. Later on, in his continuous pre-doctoral education at Ryerson University in Applied Chemistry and Biology, he managed to obtain the highest academic average of 97‰ (A+) between 11,000 university students, for which he was rewarded with the Merit Award, from Honorable David Peterson, the premier of Ontario. 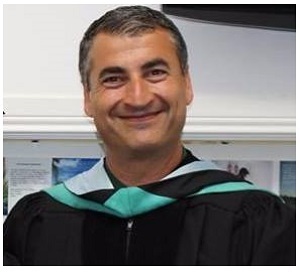 Subsequently, Dr. Pourgol was accepted to Canadian Memorial Chiropractic College (CMCC) where he finished the Doctor of Chiropractic (DC) Degree program in 1995 (Dr Pourgol resigned as a chiropractor on March 06, 2014). Dr Pourgol's osteopathic education includes a diploma in osteopathic manual practice (DOMP), a bachelor of science in osteopathy - BSc (O), a Doctor of Osteopathy (DO), and a Doctor of Philosophy in Osteopathic Clinical Rehabilitation - PhD (OCR). Dr Pourgol has founded June 22nd as the World Osteopathy Day. Now for the first time in over 140 years osteopathy has a day of its own. In November 2014 Canada Post published a postal stamp celebrating the World Osteopathy Day.